“Breaking barriers and building lives, one step at a time” has been the driving idea behind Cornerstone Supported Living, LLC since we began our agency. Our commitment to this idea has allowed us to provide direct care services to individuals with ID/DD that has by far exceeded their expectations of providers in this industry. 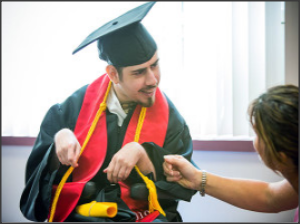 In addition to providing great direct care services, we have assisted our individuals with achieving things they thought were not ever possible due to their individual disability or financial limitations.